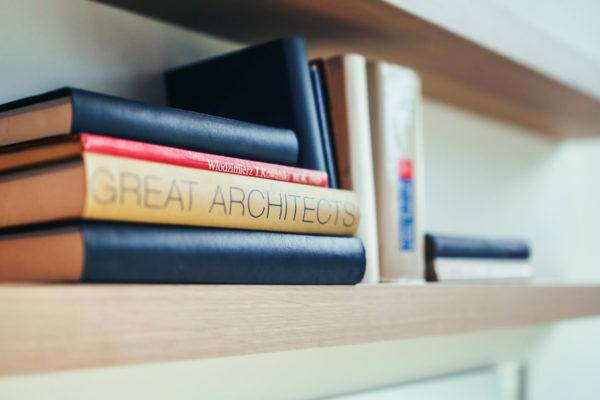 Its the details that really make your project special. 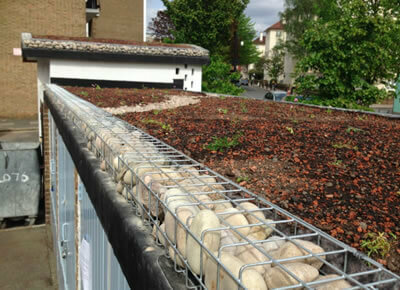 We can provide bespoke capping for your parapets with warrantied installation, and colour matched to any RAL palette. 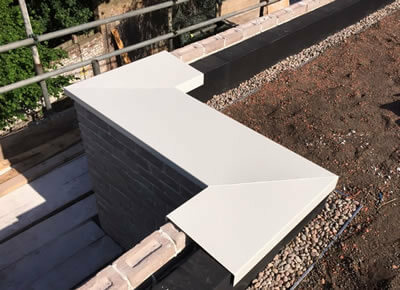 In certain projects, the parapet can be replaced with sleepers which provides a lovely counterpoint to both the existing brickwork underneath and vegetation alongside. 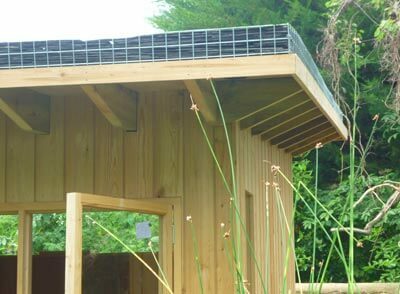 Our most popular finish where the roof has no parapet is a perforated aluminium detail, which can be installed at a suitable depth for build up. 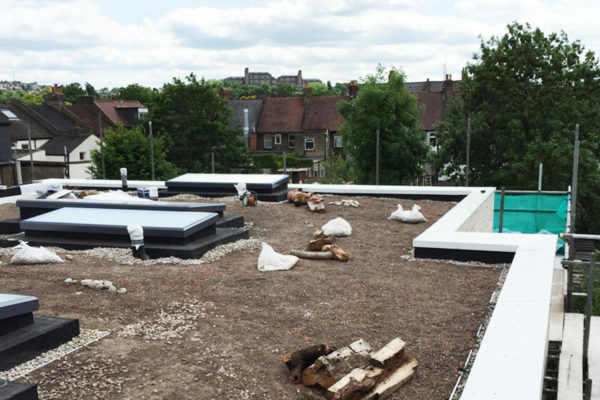 On smaller roofs 75mm has a suitable profile, whereas for pitched roofs its normally 150mm. 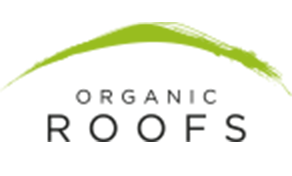 The edging can be powder-coated to any RAL palette. For a more rustic finish we offer a gabion edge with either a pebble or reclaimed layered slate infill. 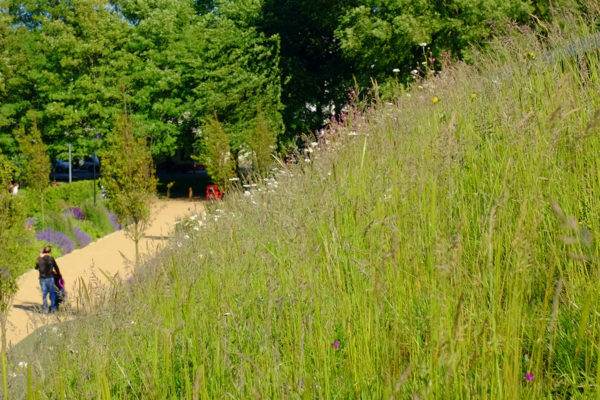 The gabion is uusally formed onsite, and particularly complements meadow planting – as seen above on our work for London Borough of Hammersmith and Fulham. 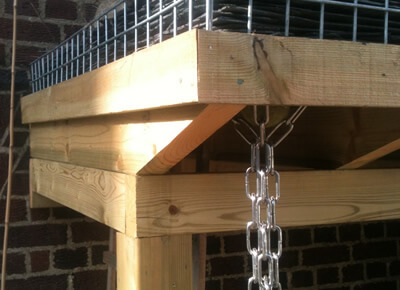 In place of plastic guttering we like the look and feel of a decorative rainchain, which carries the rainwater in gentle droplets down to your water-harvester or soakaway. 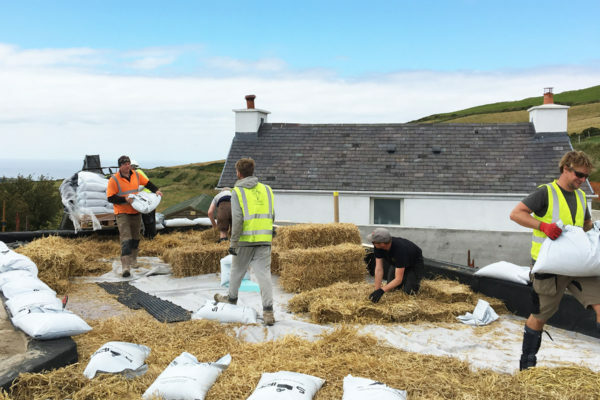 It can be fixed directly to the underside of an overhanging roof or integrated into a existing hopper. 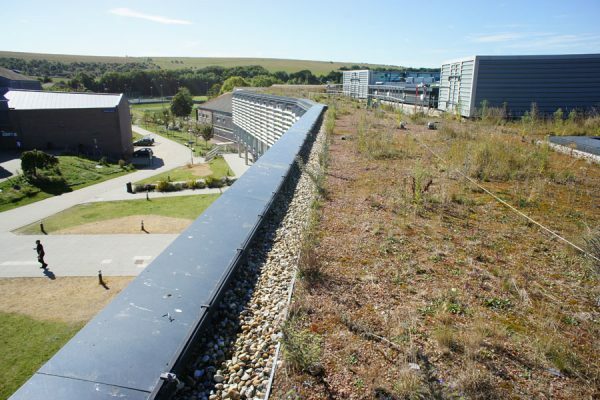 Where the green roof is set within a parapet, an aluminium separator provides a clean architectural division between the planted area and pebble border. 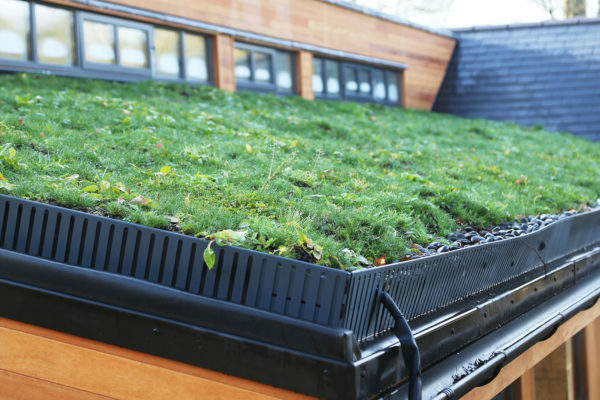 Its aesthetic appeal aside, we advise clients that where no firebreak is required in the planning conditions this is functionally required only around outlets and articulated skylights to help avoid plants getting caught when closing.